Lost Movements is pulling every trick out of the bag to impress us, and boy did they do a good job last Sunday night at Coniston Lane! This underground multi-arts festival never fails to be a laid back affair where you come and lounge around, sip on some beer, listen to music, hang out with the artists and sit back and watch all the magic unfold throughout the night. 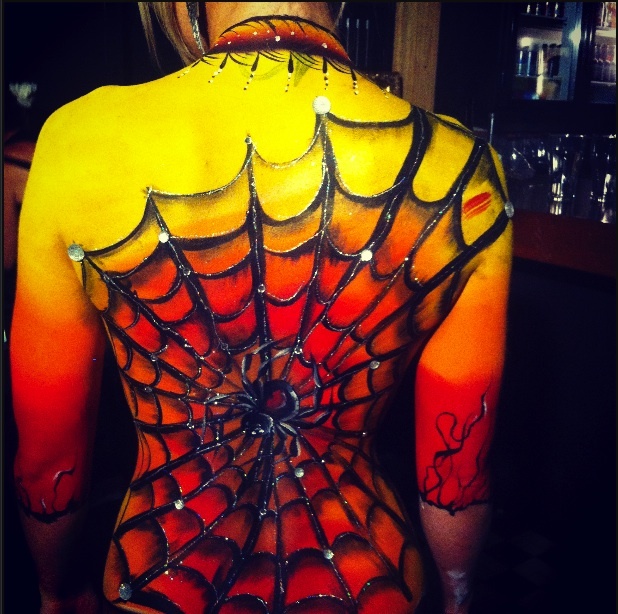 Being primarily a street-art and performance focused event, we were treated to the usual live painting, body art, graffiti artists, burlesque performers. However, the latest installment included a few exciting additions such as pole dancing (who knew it could be such an art form that really highlighted strength and agility), an intense scribble slam and sticker competitions! These new elements really made the show all the more unique and interactive. 1. What did you think of lost movements Sunday night? LM was excellent fun! So good to meet street artists in the flesh, and get to know them outside of facebook. 2. Tell us a little about what you do! 3. And on your days off? All my days are days off! Art is a passion for me...I don't see it as work. 4. What inspires you at the moment? Nature always inspires me... beautiful forms following function. 5. Favourite place to create? I have a beloved workshop full of tools and found wood & objects. It's very relaxing and exciting to create there, plus it has music. 6. Someone who motivates you? Hmm...I try to produce art consistently, so I'm motivated by people's expectations of what interesting piece I will do next. I guess that would be living in a completely controlled society with draconian laws and curfews, though we have it good here, considering other places in the world right now. Lost Movements V is currently seeking artists and performers for their show scheduled for April 7th! Check here for details!